Collect all the orders and reach 25,000 points to complete the level. This level has medium difficulty. 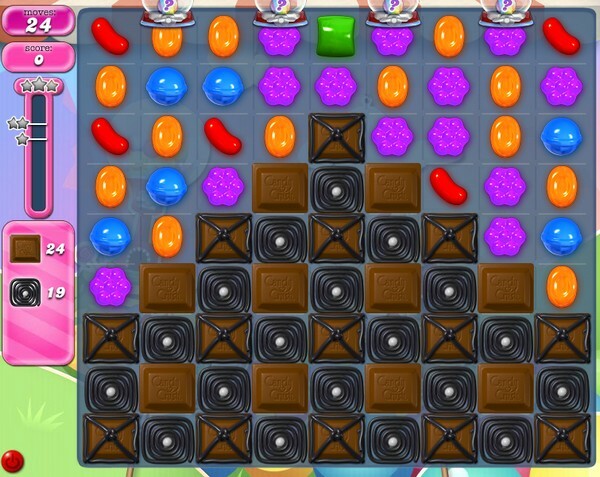 For this level try to play near to blockers and chocolates to break them. Make special candy and combine them with each other to break more chocolates or play near to chocolates to break them. 2202 completed! 2nd board! Make special candies. I get 19 moves and the video shows 24. Why is there always this discrepancy? It happens so often! Now they only give you 12 moves and it is impossible! I stopped playing for 8 months and looks like I need to take a break if they are gonna give us this type of nonsense. I get 14 moves…not enough!!!! I only get 14 moves and this game here had more then 19.